How Many VO Jobs Can You Get From Social Media? Here they come: all the studies, the research, the survey results offering a crystal ball look into Social Media marketing for this new year. I’m going to list two or three of the top articles published in just the last few days from some well-regarded online sites, but, really, anyone can find them. My job in this blog is to offer a little perspective for the findings that you can capitalize on for your voice over business. Perhaps the most surprising and refreshing bullet-point in that last article is that Social Media ROI Remains Elusive. Really? So I’m NOT crazy. Other than some Google Analytics, I’ve always been at a loss to determine hard numbers resulting from my social media marketing efforts. I hate that question. I hate it ’cause I don’t have an answer. I hate it, ’cause I’ve searched for an answer, and I still don’t have an answer. much depends on politics, human psychology (for EACH person), motivations, and cultural pressure. The other thing you’ll notice in the above articles is that Pay 2 Play is serious….and I’m not talking about Voices.com or Voice123.com. I’m talking about paying for advertising space on the big social media platforms. As one of the authors says: “The free lunch is looking a touch smaller”. The final point mentioned in these predictions — one that I’ve made over and over — is that Google+ is here to stay, and will increasingly dominate the social media discourse. Google WILL NOT STOP until it makes “+” a success. Mark my words. Wanna join my Google+ Community for voice actors: G+ Voiceovers? Send me the URL to your Google Plus profile page, and I’ll send you an invite. I can say confidently that I’ve booked voice over work directly as a result of posts on Twitter, LinkedIn, Facebook and Google+ because I’ve had clients contact me through each of these social networks in response to specific updates I’ve shared. 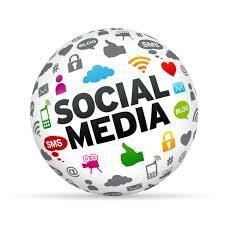 However, how much of my overall work comes from a result of my social media marketing? I’m with you Dave. I haven’t a clue.